There are a lot of savage people out there, but the queens we are looking at today are on another level — just slayin' the game. These are the kinds of responses that will make your head turn and your hand cover your mouth. If you're thinking, "Oh no they didn't," well, you better believe they did! 1. Looks like J.K. Rowling belongs in Slytherin house for that one! How are you even gonna affect someone who invented the idea of having a gigantic snake at an elementary school? 2. There's never an easy way to break up with someone... Oh wait, yes there is! Hey, sometimes it feels really good to get rid of the dead weight. Might as well celebrate! 3. Be careful what you wish for — you just might get it. I mean, what's more perfect for someone who's constantly avoiding the "what do you want" question? You're welcome, Mom! 4. Anyone can be savage on social media, but it takes gusto to come up with some fire IRL. And really, what better way to soften the blow than with cake? 5. Jo Ann here has something to tell to the big guys, and she DGAF what your response is! Yeah, big friggin' deal! Wash the damn celery or face Jo Ann's wrath! 6. If you learn anything from this, you should learn that you simply do not mess with a savage! Something tells me that she'll be able to move on no problem. 7. I think a lot of moms are savage deep down, it just takes the right circumstance to bring it out! And in this case, when she's feelin' fresh, you better appreciate. 8. Like mother, like daughter, I guess! Age ain't nothin' here — you don't have to be old to go full savage. She's owed that money! You chase that paper, boo-boo! 9. Here's a mystery he and the X-Files team won't be able to figure out: Who stole my cab?! Well, that's what you get for being nice to your fans. Wait, what?! 10. Yeah, I wouldn't even trust that those potatoes aren't poisoned or something! Unless you're like me and you're half Irish, this just isn't going to make for a decent lunch. 11. People just love sharing their stupid opinions, huh? Well, here's a way to shut that down, quick. I mean, as far as selfies go, that's pretty top notch, ya know? 12. Just because she's a savage doesn't mean she's not loyal! It's one thing to give the wrong number to someone, but to give them your S.O. 's number is another level. 13. When there's a will, there's a way. Especially if they will not go out with you! 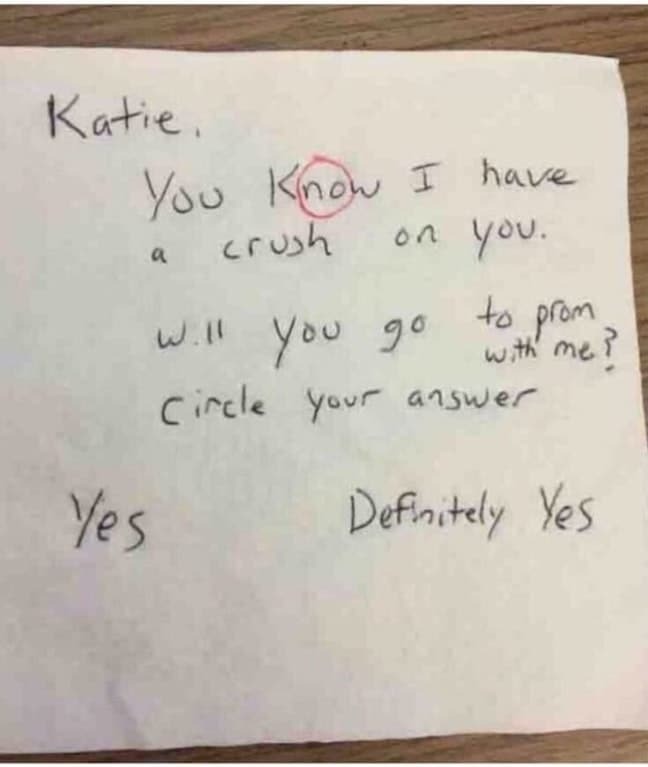 You gotta hand it to Katie, she's damn clever. Might want some ice for that burn. 14. It wouldn't be called "going out on a limb" if there wasn't a chance that limb could break. I'm glad they got this shot just at the time she pointed! 15. Sure, a lot of these ladies are obviously savage, but she might actually be possessed or something! Guys, this is why you leave your girl tf alone when she's in the bathroom. 16. And lastly, believe it or not — this friggin' robot girl can be super savage when you're not even expecting it! Well, whatever, you go, robo-girl! Slayyy, Siri! Queen, yaaaas!